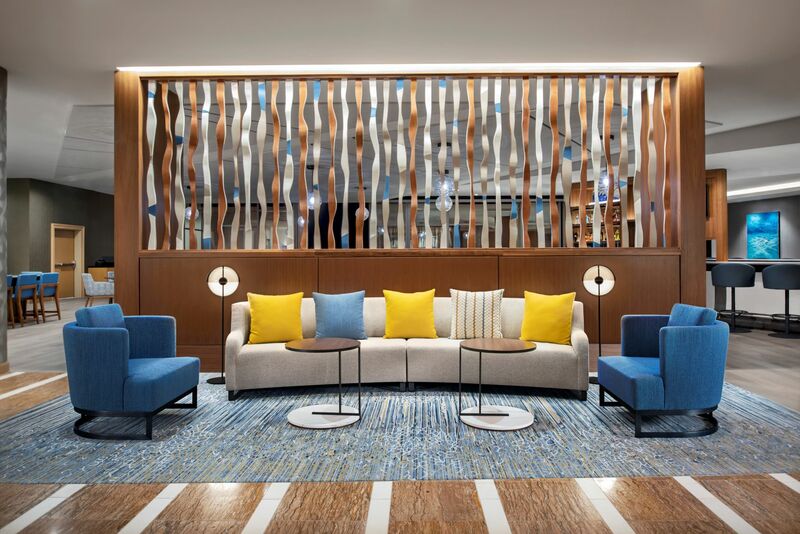 THE SLEEP: The vibrant history and personality of San Diego is incorporated into every guest room – from pops of sunny yellow and bay-blue hues, water movement-inspired sculptures, and modern light fixtures with smart technology. 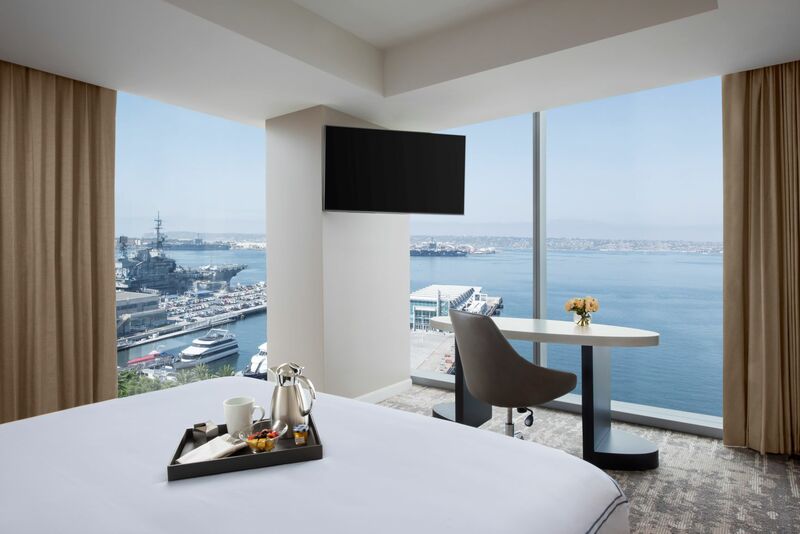 Book a suite and go next-level luxury with spacious glass-walled rooms. 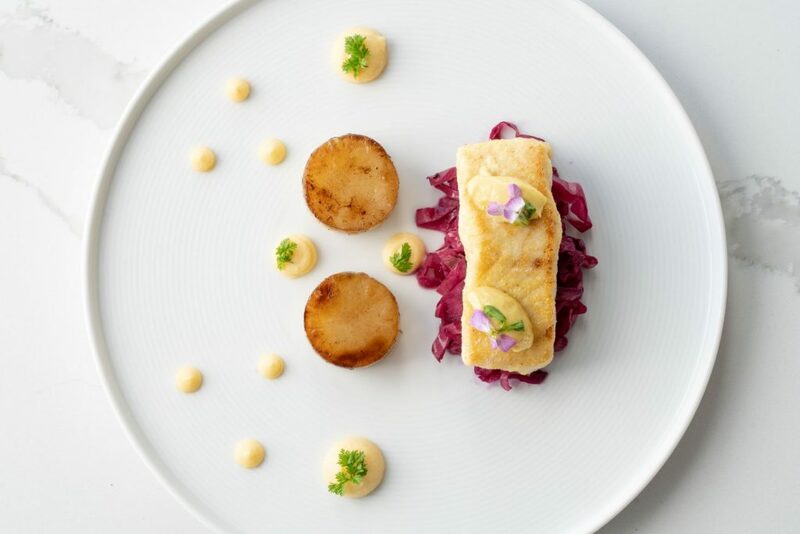 THE TASTE: In a tribute to the city’s colorful cooking traditions, Chef Amy DiBiase has created an entirely unique menu, almost as unique as the destination. 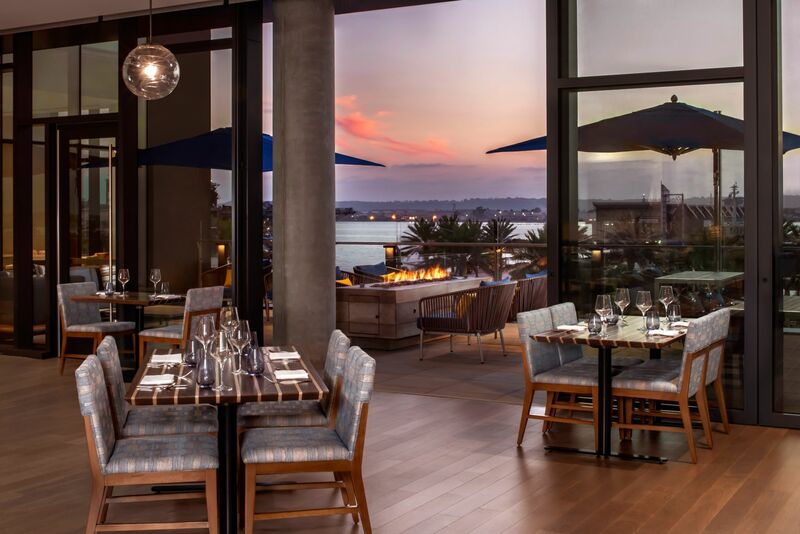 On-site dining at VISTAL highlights the best of San Diego ’s local flavors from both land and sea, all with a side of scenic views. 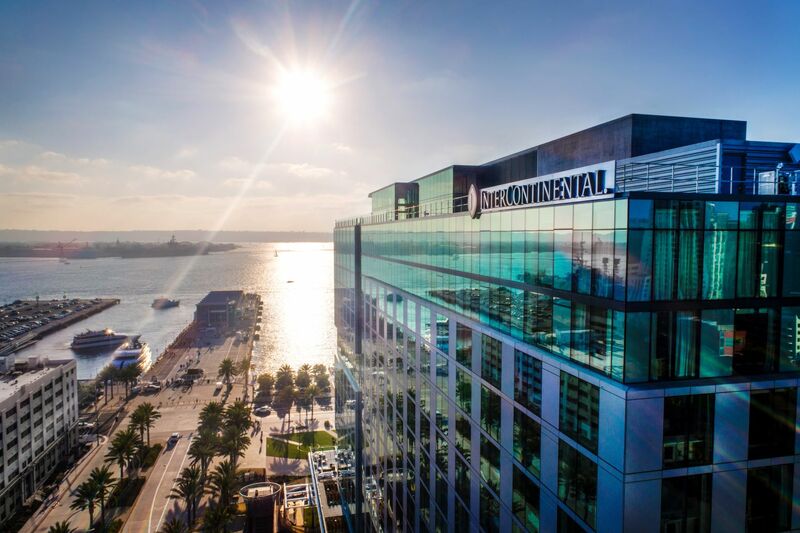 It also doesn’t hurt that VISTAL at InterContinental San Diego boasts a backdrop for the ultimate place to take a ‘#drinkintheair’ shot for the gram. 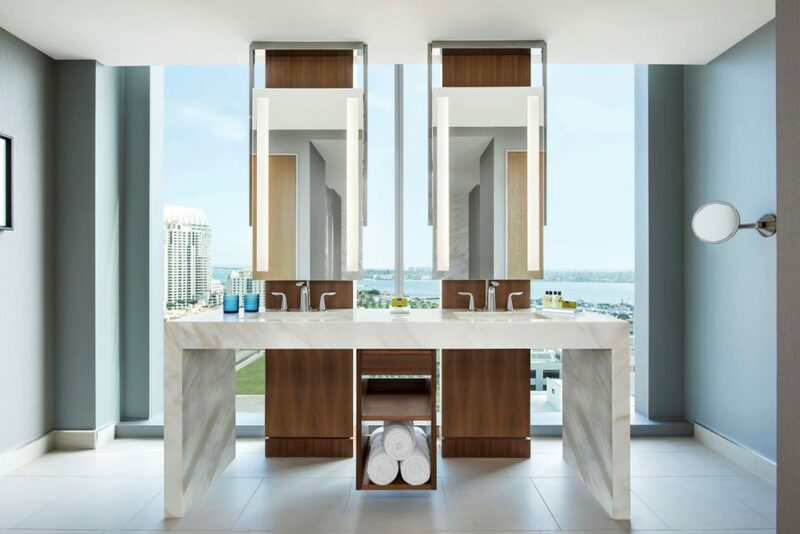 THE TONE: Finding time to step away from the cocktail bar is hard, but maintaining your health is easy with a 3,300 sq. ft. wellness center overlooking the Bay. 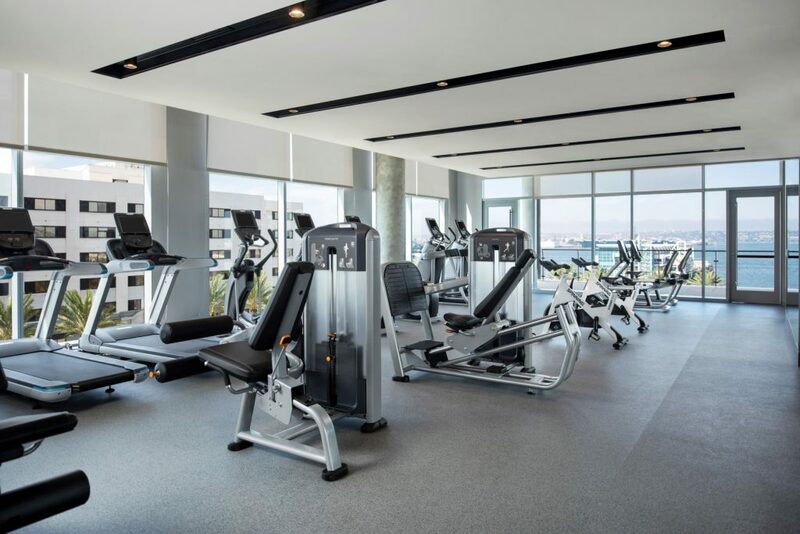 Boasting the latest equipment, free weights, on-demand fitness videos, and an outdoor yoga terrace, you’ll want to hit the gym. Post workout, you can head to the rooftop pool to cool down or simply relax in a cabana. 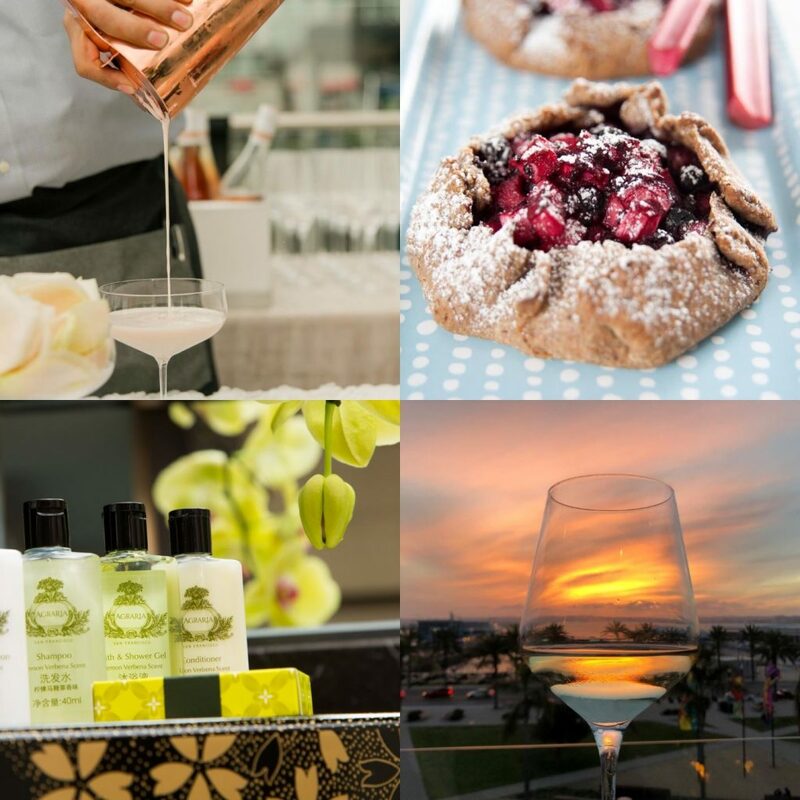 There’s something for everyone – from a fabulous single looking to explore downtown San Diego on a solo trip, to a new family wanting to make long-lasting memories, InterContinental San Diego is our latest must stay.